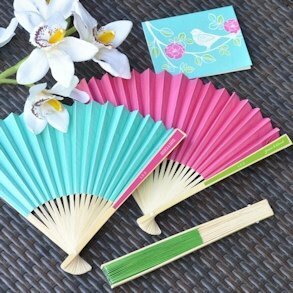 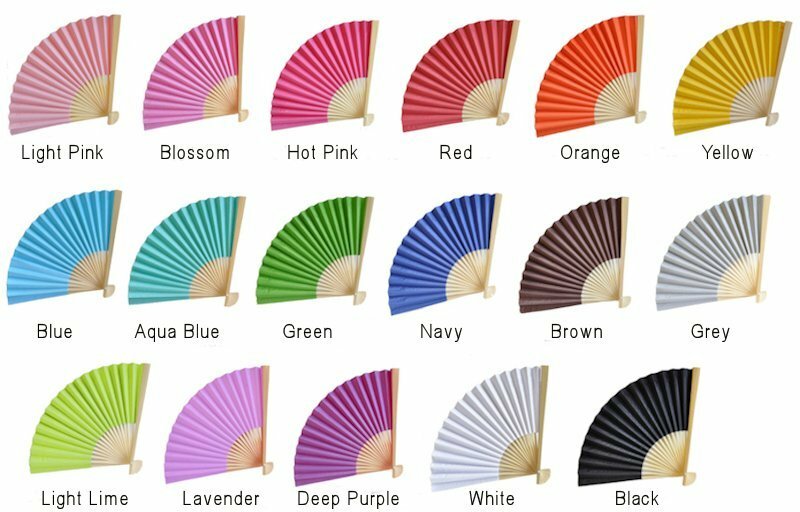 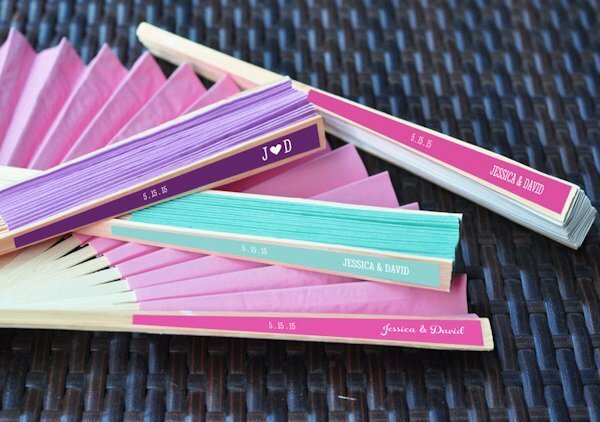 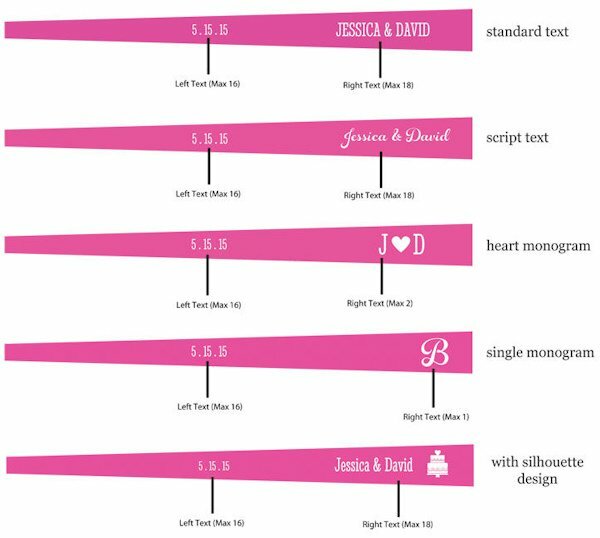 Keep your guests cool and comfortable as they share in your big day with our Personalized Paper Fans for Weddings. 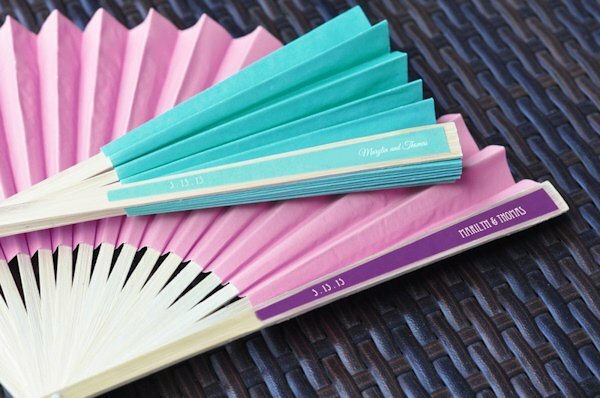 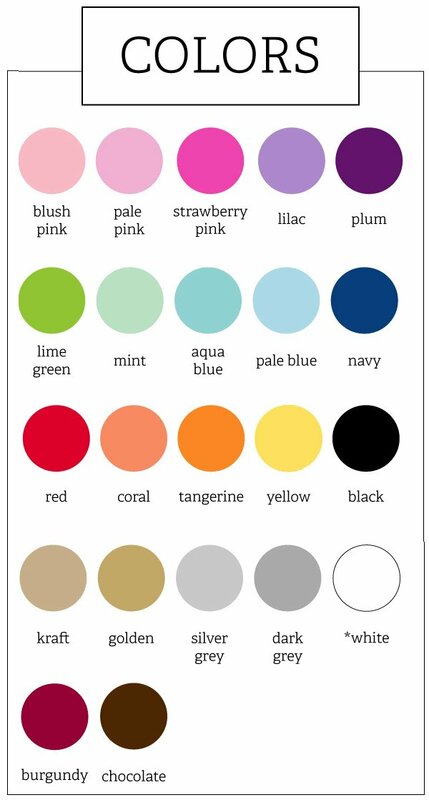 Available in many different color options, you may personalize the fans by choosing a design and adding your own text to make a treasured keepsake that your family and friends will love! They are a charming favor that are perfect for outdoor summer weddings but also thoughtful gifts to help keep the air moving inside, too. 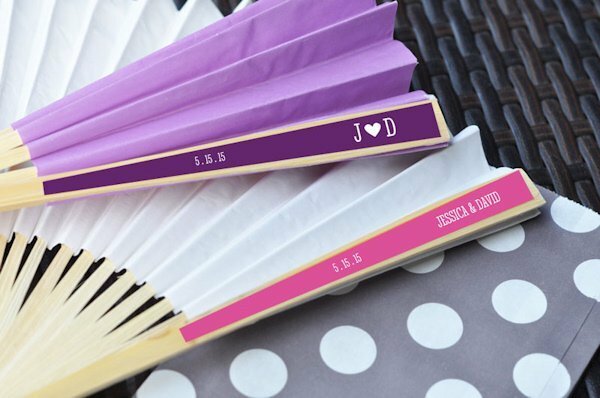 Please note: Personalized stickers arrive unattached for easy assembly with one sticker per fan.